A young professional in the Philippines shares his views and recommendations on social media in the banking industry. There are no better ways for banks to connect with their clients than the Internet and social networking sites, but how should a bank adjust to this change? If you are a regular reader of the Visible Banking blog, you’ll already know that I recently introduced a new series, ‘VB Voice of the Customer’ aka ‘VB Customer Voices‘, which aims to share the views on social media and digital engagement in financial services from regular customers. Honest, unbiased, reviews from real customers. No social media gurus. No digital bankers or insurers. I invite you to check our VB Stars series for guest posts from the thought leaders in the worldwide banking industry. This third post from the series was written by a young professional living in the Philippines. 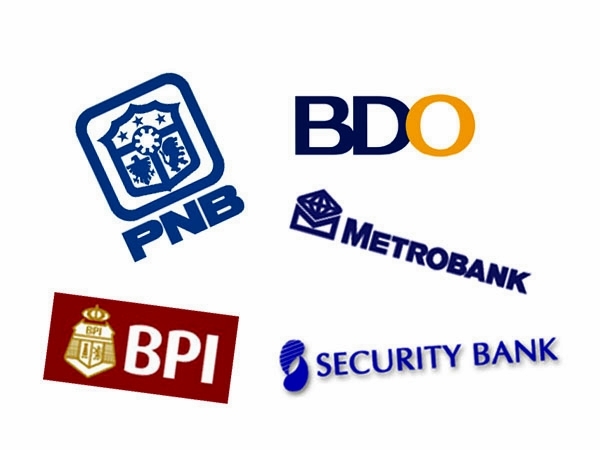 In his article, Lean shares his views and his recommendations to the banks operating in his country and wanting to engage with the filipinos on the likes of facebook or twitter. The business of banking is a very old. In fact, you can say that banking is as old as the first currencies. Banks make our lives a whole lot easier. By assisting us with our money needs, banks have become an indispensible part of our lives. We are all aware that time changes everything. You either adapt or get lost in the chaos. It’s the same thing with banks. The many changes in society and its structure must be considered by every bank in order to succeed. For one, there are much better ways to connect to clients by way of the Internet and social networking sites. So how should a bank adjust to this change? Currently, the Philippines is ranked number 8 in the list of number of Facebook users per country. We have 27,720,300 Facebook users in the Philippines. This is roughly 28% of the total population of the country and this number is growing every day. With a properly placed (and managed) fan page, a bank can easily make use of the popularity of Facebook among Filipinos. Personally, I won’t mind if banks use Facebook or Twitter as part of their campaign to either get more clients or for customer service. It is inevitable considering the sheer number of users these social networking sites have. But in order for them to even make use of a networking site they must remember some key points to do it properly and effectively. 1. Appropriate. They must be aware that most Facebook and Twitter users are within the ages of 15 to 30. This simply means that a bank should have specific promotions or deals that may appeal to that age group. Don’t expect a post about pensions to be noticed. A status update about a promo for a free trip to Hong Kong will bring more attention to your page. Try to think like the users. What would they like? How would they like this message to be sent? Will they like this if done this way? 2. Experience. Create and promote a better online banking experience. This is the Internet age. Everything can be and should be accessible through a computer with an Internet connection. I rarely deal with my bank “physically” because I just use their effective online banking system to help me with my needs. If ever a bank decides to invade Facebook or Twitter, make sure you have a site and a system you can boast. 3. Offer. In this age where competition is everywhere, banks should find a way to channel traffic to their page and not on the competition. How will they do this? Well, find ways to make people “click”. It may be an offer, a promotion, or a special contest. To be honest, banks are boring. Yes, they are important but nothing much goes on inside their offices for the world to care. So banks should find a way to make people excited. To make its current and future clients click on their page every now and then. I will not include this on the list but I think the most important thing a bank should do in order to entice prospective clients and make the current ones stay is to show them you care. Take the fan page of the Unionbank of the Philippines. You can see contests, reminders, tips and the page answers questions posted by its users. It does not act like a bank but rather a sentient being. You can also check the Twitter account of the same bank and you will see countless replies to different questions from a lot of people. You can compare their page to the fan pages of other banks and you will see the big difference. This is I guess the only and most important expectation of any person and that is to finally have a channel for ordinary people to connect to their financial institutions through Facebook orTwitter. If a bank can truly aim to achieve this level of customer service then there is no doubt people will come in droves. Simply put, everybody loves a bank with a heart. Not just on TV ads or billboards but on their real-time handling of legitimate concerns by both current and prospective clients. Call it some sort of online hotline where you can always expect somebody to help you on the other end. This may seem to impossible but I have seen some pages and twitter accounts where the page owners answers legitimate questions from its subscribers like downtime, maintenance, requirements or bank hours. A fan page or twitter account may accommodate these tasks but the thought of doing transactions through Facebook or Twitter may seem awkward. No matter how you look at it, these sites are just informal social gatherings of people from different places. Conducting personal stuff over these sites may seem a bit risky and even the most loyal of clients might shy away from the idea. If these tips or recommendations are heeded by banking institutions then I bet there will be better reviews and feedback from their clients. These things may seem too small and unimportant but I believe this is what makes a great bank – to always be able to lend a hand when needed. Lean is a filipino in his early twenties, who spends a significant amount of time on facebook every day. Lean, an online and mobile banking registered user, banks with Unionbank of the Philippines.